Very strong evidence would be needed to overturn both predictions. 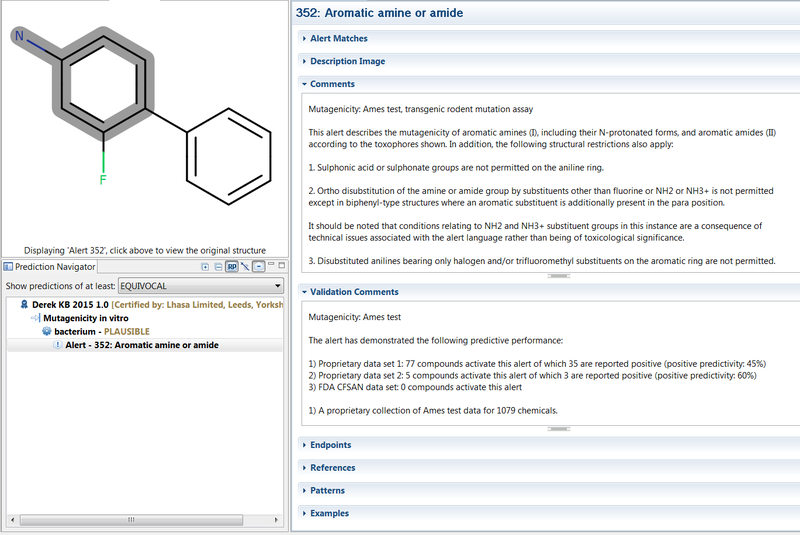 Derek Nexus – Positive (plausible) prediction based on alert 352: aromatic amine or amide. Sarah Nexus – Positive prediction with 25% confidence. Alert 352 has strong supporting evidence and clear rationale. 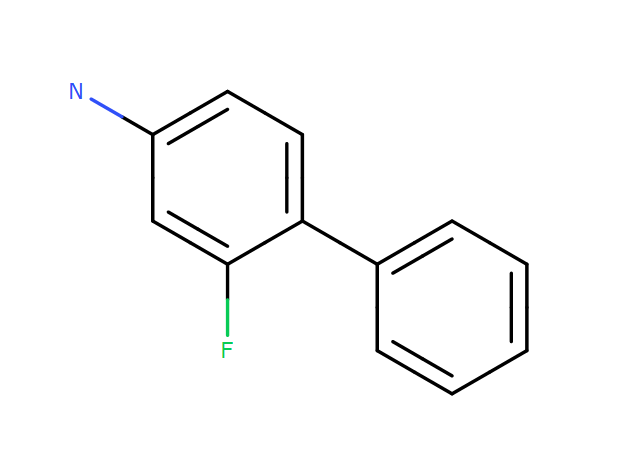 None of the structural restrictions detailed in the comments are relevant for 3-fluoro-4-phenylaniline. One hypothesis was Negative, but only with a 2% confidence. Four further hypotheses are all confidently Positive. The training examples are relevant and consistently positive. This gives a high confidence in the prediction. Positive – Derek Nexus and Sarah Nexus have both made confident positive predictions. The alert that has fired in Derek Nexus has a clear rationale and strong supporting evidence. 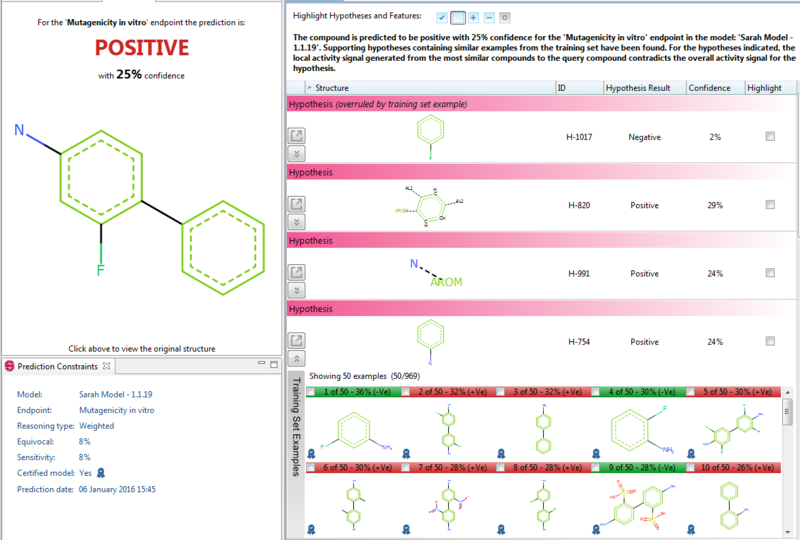 The training examples in Sarah Nexus are relevant to the query compound and consistently positive. There is no evidence available to warrant overturning either prediction.